Junior middleweight boxer Paul Kroll, a 2016 Olympian, made a great start to his professional boxing career in 2018, and was voted by fans as the best rookie in Philadelphia. Paul will receive his Briscoe Award at a public event on Sunday, April 14, 2019 at Xfinity Live! in South Philly. Kroll made his debut in Philadelphia last August, blasting out DeAngelo Alcorn in the first round. He followed that with another stoppage (TKO2), this time against Antonio Wattell in Oklahoma City. Now that his delayed pro career is on track, he appears poised to make his move in 2019. 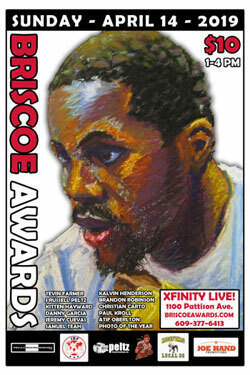 The next step for Kroll is the Briscoe Awards, before more highly anticipated pro fights.